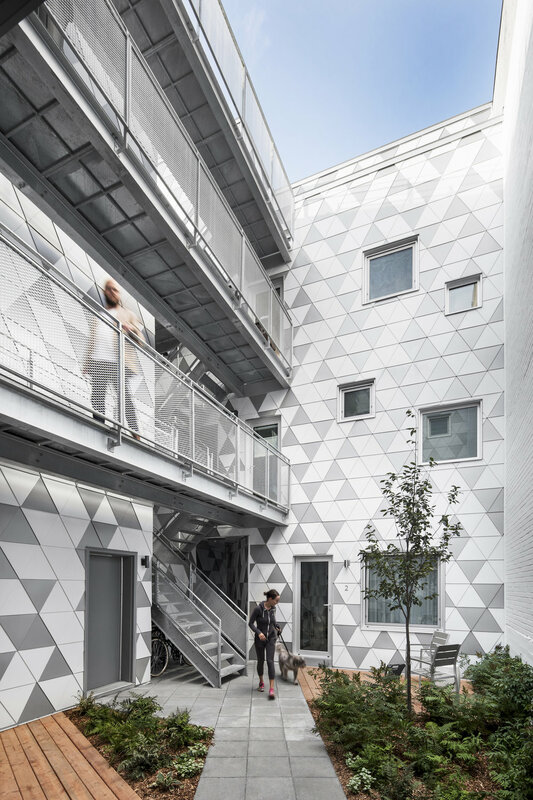 The newly created Project Géode, a minimalist residential building, is located within one of Montréal’s most energetic locations. A location where professionals, families and couples mix, architects ADHOC created a contemporary project that works within the surrounds and reflects in symmetry to the sector. The subtly that sits within the design is clear, making certain that the building fits within the current landscape and brings the country and the environment that sits within to the cityscape. 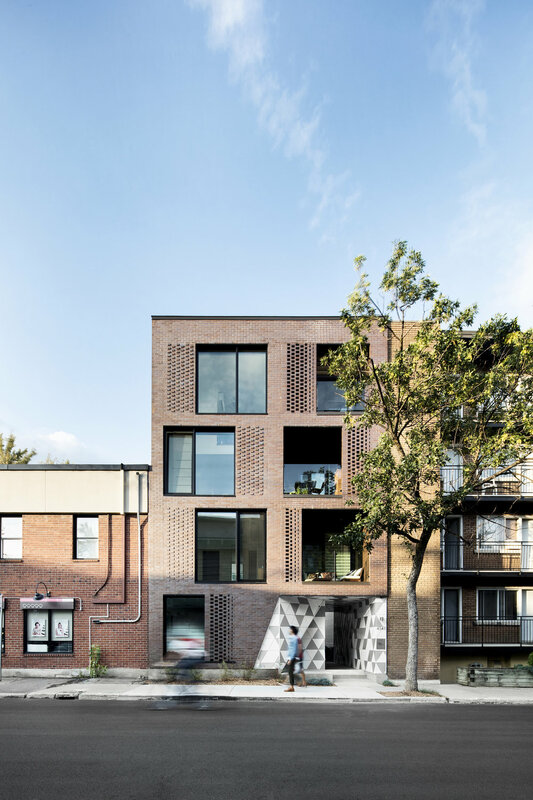 ADHOC designed and constructed both the street and the alley creating a new typology and central space. The new space around the building provides a necessary link between both private and public space with the courtyard utilising the light from the facade on the mezzanine. A private loggias is formed within the exterior spaces keeping true to the intimacy that the residents require. The Géode is a hollowed mineral mass with an exterior of crystals and has been used as the source of inspiration during the design process. This can be seen through the use of space and light as you explore the interior of this building. All the living spaces within are coated in natural light thanks to the central opening.The exterior of the building has been down-played with a modest touch through the materials and aesthetics. Again, they have been able to shine a level of inspiration from the Géode through the use of brink and openwork masonry in front of the windows.